Join us for a casual, fun filled evening of: Unique Tastings, Small Bites & of course a little March Madness! Make sure to invite your friends and neighbors to join you! 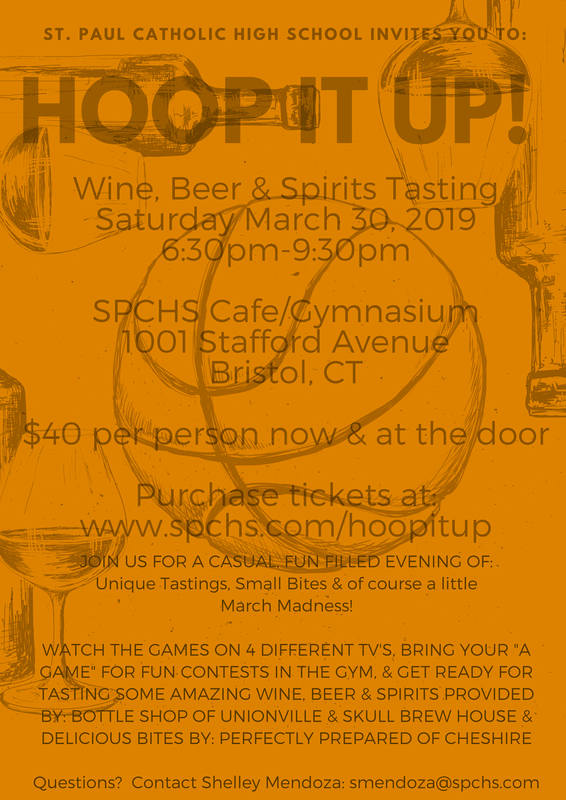 Watch the NCAA games on 4 different TV’s, bring your “A” game for fun contests in the gym, & get ready for tasting some amazing wine, beer & spirits provided by: Bottle Shop of Unionville, Skull Brew House, Meriden as well as food provided by Perfectly Prepared, Cheshire. Contact Shelley Mendoza at smendoza@spchs.com or 860-584-0911 ext. 21 for more info. or any questions. 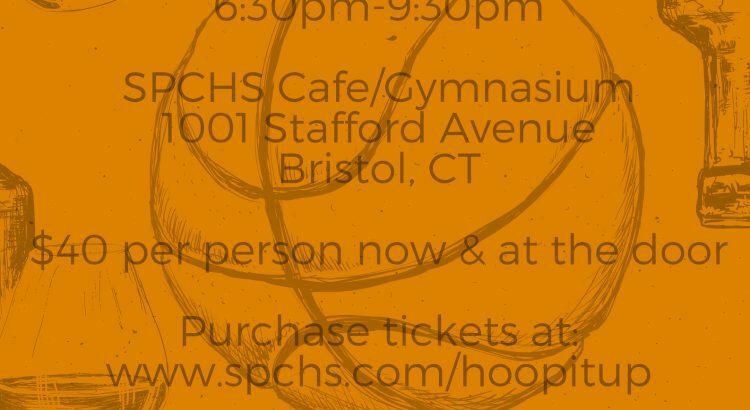 To purchase your tickets please visit our Hoop It Up! event page.